A Tasty Bourbon Cocktail for Labor Day Weekend! DrinkWire is Liquor.com’s showcase for the best articles, recipes and reviews from the web’s top writers and bloggers. In this post, Missi Rose's Views offers a twist on a classic bourbon cocktail. There is no better way to say goodbye to summer than to enjoy some smooth and easy-to-sip Basil Hayden’s during your Labor Day weekend. 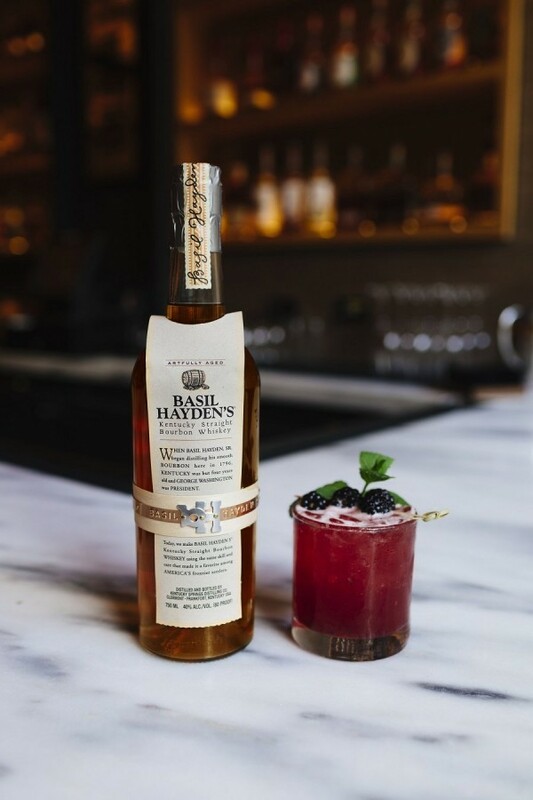 Whether you prefer to drink bourbon neat, with ice or mixed in a cocktail, Basil Hayden’s Bourbon is the perfect sipping companion! So, before you put away your flip flops and swimming suits, let’s all enjoy the last days of summer and the warm weather with a tasty summery drink…your hoodies, scarves and boots can wait! 1. Combine all ingredients in a mixing tin and muddle the blackberries. 2. Add ice, shake and strain over crushed ice in a rocks glass. 3. Garnish with a sprig of mint and 2-3 blackberries.